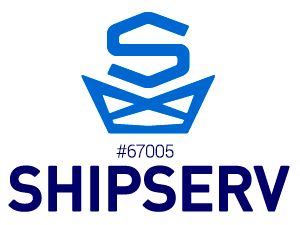 A ship-to-ship (STS) transfer operation is the transfer of cargo between seagoing ships positioned alongside each other, either while stationary or underway. 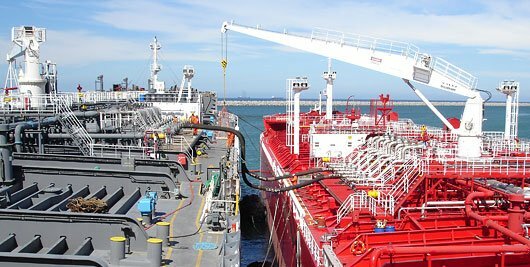 Cargoes typically transferred via STS methods include crude oil, liquefied gas (LPG or LNG), bulk cargo, and petroleum products. 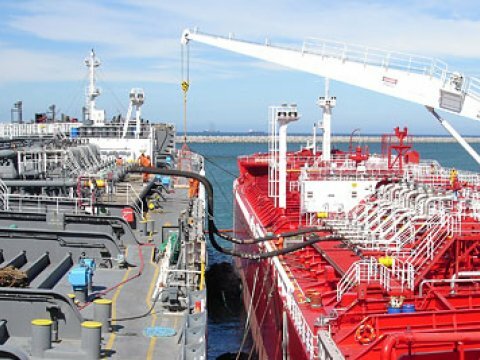 According to International Maritime Organization regulations vessels transferring OIL CARGO must have an approved STS operational manual that describes the procedure. These manuals should be available on board not later than first annual, intermediate or special survey after 1 January 2011. These manuals can be prepared either by the shipping company or external consultants. According to IMO MEPC 186(59) records of STS Operations should be retained for 3 years. Although the records consist on STS checklists and Risk Assessment procedure those should be assessed after the completion of the STS Operation and the outcome of the assessment should be utilized in the Due diligence process. When Masters plan an STS Operation they should have easy access to the past STS records and assessments in order to prepare the ship and crew towards ensuring safety according to industry guidelines and IMO regulation. Technical Operators are subject to assessment by oil major companies that proper implementation of the record assessment take place.